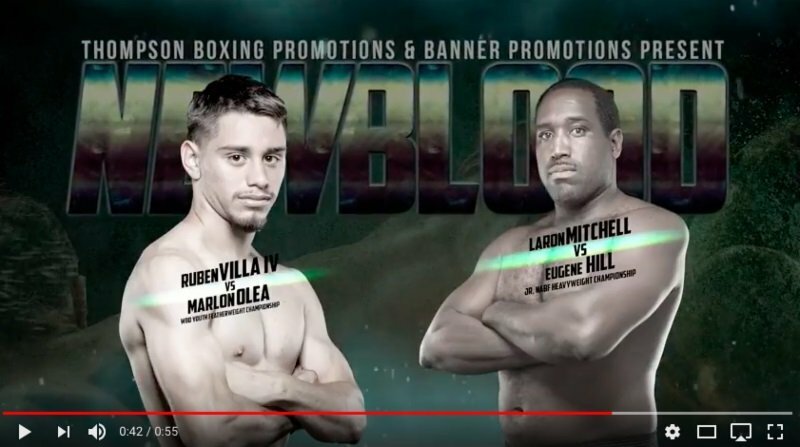 Unbeaten heavyweight LaRon Mitchell (16-0, 14 KOs) faces a stern test when he defends his Junior NABF title against once-beaten Eugene Hill (34-1, 22 KOs) on Saturday April 14, from the Salinas Storm House in Salinas, Calif. The “New Blood” co-feature is scheduled for 8-rounds. Mitchell, a southpaw from San Francisco, last appeared in August when he knocked out Mike Bissett in the third round, and with the win, recorded his first successful title defense. The full-time physical education teacher, who began his career with thirteen straight knockout wins, is in prime shape to defend his title for a second time. Hill, 40, is still a force despite his veteran status. He hasn’t lost since 2009 and has won eighteen straight heading into his title fight against Mitchell. Since turning professional in 2013, Mitchell has passed every test placed in front of him. He outpointed the fast-handed Scott Alexander to win his current championship and credits a consistent mentality for his recent success. In the main event, Salinas native Ruben Villa (10-0, 4 KOs) headlines his first event when he battles fellow prospect Marlon Olea (13-2, 12 KOs) of Colombia in a bout set for 8-rounds. The pair will vie for the vacant WBO Youth Featherweight Title. Tickets for “New Blood” are priced at $40, $75, & $125, and are available for purchase by calling 714-935-0900, or online at ThompsonBoxing.com. “New Blood” is presented by Thompson Boxing Promotions and Banner Promotions.